Walk on in and call it home! This well maintained, Lush, Private, Lakefront home is calling your name! Nestled on a secluded 4.10 acres with 500 feet of Lakefront to call your own, this tropical paradise is everything you could have dreamed for. The house is an open 4 beds with 3 full baths a huge kitchen and family room for entertaining that opens itself up to your backyard oasis. Featuring a Lagoon style Pool and Spa with multiple water features and an outdoor kitchen, this home is meant to entertain. Don't stop there though, head out to your dock, with not 1, but 2 Covered Boat Lifts for ALL OF YOUR TOYS! Back to the home is a detached 3 car garage PLUS an air conditioned room that could be used for music studio, office, you name it! 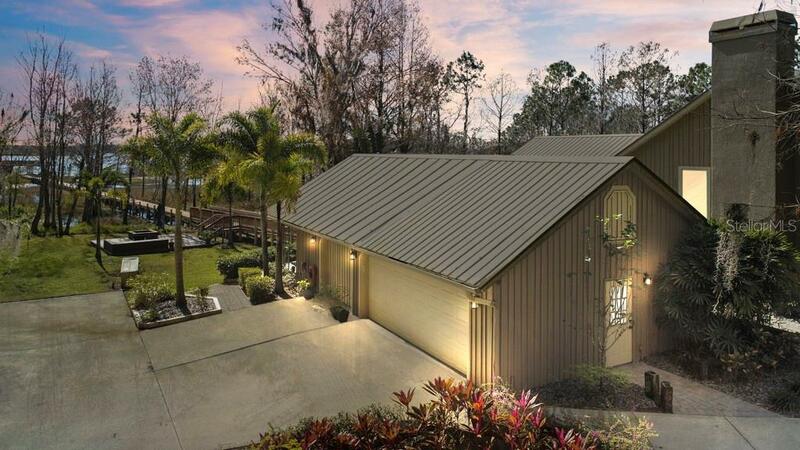 With covered space for your cars, boats, waverunners and RV, this home has it all! Conveniently close to Lake Nona's Medical City, 417, 528 and Orlando International Airport, you are close to everything, but feel like you are in your own world here. Come see for yourself, before this one of a kind home is sold! Copyright © 2019 Mid Florida MLS. All rights reserved. The data relating to real estate for sale on this web site comes in part from the Internet Data Exchange Program of Mid Florida MLS. Information provided is for consumer's personal, non-commercial use and may not be used for any purpose other than to identify prospective properties consumers may be interested in purchasing. Assist-2-Sell Ace Full Service Realty participates in the MFRMLS Internet Data Exchange (IDX) program, allowing display of other MFRMLS broker's listings on this site. However may not include all listings currently available. Information is deemed reliable but not guaranteed. Information last updated at 2019-04-23 13:48:51.